Vicksburg Mayor George Flaggs Jr., said that Cochran’s seniority was a major reason that the veteran Republican lawmaker got his support. 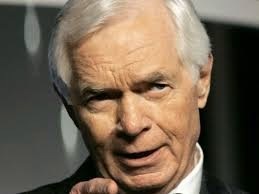 Flaggs said that he will support Cochran in the general election and that it is important he stays in office so that Mississippi can benefit from his longevity in Congress, particularly since earmarks are gone. NAACP Mississippi State President Derrick Johnson said in an interview that they are looking for Cochran’s support. “Two things that we think should come immediately after the election [are] his support of the Voting Rights act… free of any provisions that would allow for voter ID and, second, to get the presidents of the black colleges to ask for his offices for help to make sure the mission of those institutions are carried out,” he said.